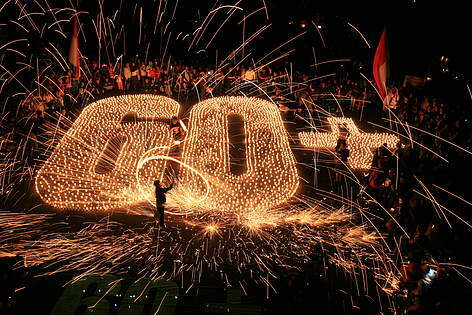 Earth Hour is all about uniting people to protect the planet. Why? Because we are all custodians of the world we live in. How can we become even better custodians? It can be, through servicing your car regularly, using an energy saving stove or planting a tree. Whatever your small action is, it matters. Earth Hour is famous globally for switching off lights to show support for nature. In Uganda we would like to go a step further by caring for our environment with our day-to-day actions. Doing something for Earth, is doing something for all of us. While most Cities turn OFF lights to Celebrate Earth Hour, join us in turning ON the lights of 600 families living around the Earth Hour Forest. 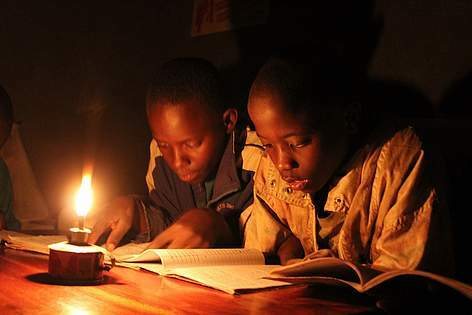 KAMPALA, UGANDA - Though globally famed for the symbolic action of turning off lights for one hour as a sign of support for sustainable living, Earth Hour is not just about lights-off. Earth Hour has turned into a people’s movement across the world where individuals, businesses and communities come together to take actions to improve the planet. 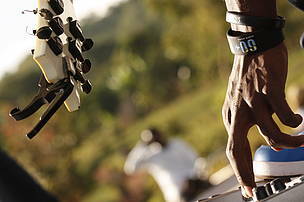 In Uganda, as part of the diverse nature of Earth Hour, the team is using Earth Hour as a mobilization tool to unite people to take action for the planet. 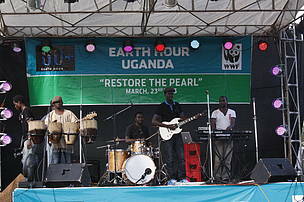 The Country Director of the WWF Uganda Country Office reaffirmed the opportunity that Earth Hour presents. “We can all agree that the greatest challenge that the world faces, requires the greatest demonstration of support from us all, and Earth Hour gives us exactly that,” he says. 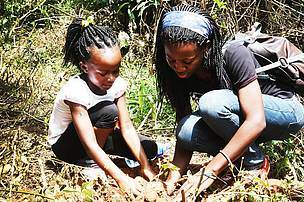 One of the new approaches on actions to take for the planet was born in Uganda in what is now popularly known as the Earth Hour Forest. 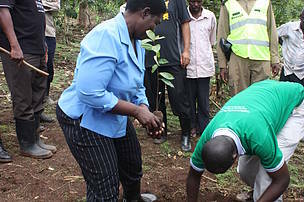 Not done anywhere else around the world, the Earth Hour Uganda Team initiated the idea of the Earth Hour Forest as a mass tree planting exercise that focuses on a consolidated tree planting drive. Through the Earth Hour 2014 campaign, the Uganda Team would now like to mobilize global support for 600 families living around the Forest. This is because over a decade ago, due to high poverty levels and scarcity of charcoal and fire wood, the community around the forest plundered the trees that existed around their village for wood fuel. Having endured the impacts of mass degradation, the communities have had a change of heart. “Today, the communities that once plundered the old natural forest are now passionate custodians of the Earth Hour Forest. They have been very supportive and involved in the replanting process since it was launched. So we would like to support them too, so that they are not tempted to deplete it again,” says David Duli. The Uganda Team and partners are working with the community to restore the tree cover of their village by planting more trees. With the help of the global audience through crowd funding, the new approach is to also improve the livelihoods of the community members. Therefore, with the 47,000 USD that is to be raised, the Uganda Team will be in position to help more than 50% of the 1,200 families living around the forest. The hope is that they will then become better custodians of the newly planted forest, but also significantly reduce their current level of dependence on wood fuel. “Our goal is to support these vulnerable communities by offering solar kits for lighting at night and energy efficient stoves that consume less firewood, so that we can reduce their dependence on the forest for firewood and charcoal,” Duli says. Crowd funding works on the principle of getting a lot of people to each donate a small amount of money, in order to achieve a desired goal. Through the ‘Light Up A Village’ project, we can help these families acquire energy efficient technologies for cooking and lighting. WE ARE LOOKING AFTER THE FOREST BY LOOKING AFTER PEOPLE. We plan to raise 47,000 USD to support 50% of the 1,200 households living around the Earth Hour Forest. They will each earn themselves a Solar light and energy efficient cook-stoves. With your support, we can make this happen.